"I Emmerson Dambudzo Mnangagwa swear that as president of the republic of Zimbabwe I will be faithful to Zimbabwe (and) will obey uphold and defend the constitution of Zimbabwe," he said to thunderous applause from a crowd that also included several African heads of state. "We must now focus on addressing the economic challenges facing our nation," he said. "We are all Zimbabweans, what unites us is greater than what could ever divide us. Since independence from Britain in 1980, Zimbabwe has known only two presidents -- Mugabe, who ruled with an iron fist for 37 years, and his erstwhile right-hand man Mnangagwa. Nicknamed "The Crocodile", Mnangagwa was appointed after Mugabe was forced out by the military in November last year. 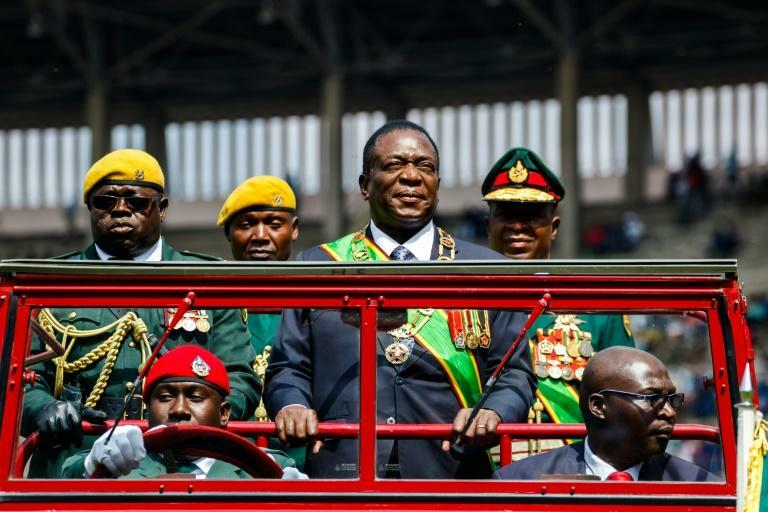 The newly-minted leader on Sunday hailed his victory as a new "dawn" for Zimbabwe after years of repression and economic mismanagement which left the country burdened by shattered public services, mass poverty and unemployment. At the inauguration, Mnangagwa vowed to open a probe into the violence, which he called "regrettable and most unacceptable". 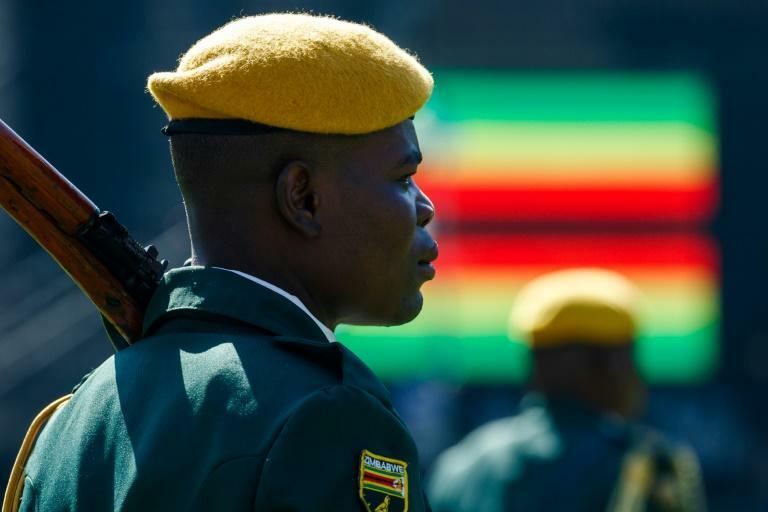 Supporters, many wearing caps and T-shirts emblazoned with Mnangagwa's image, filed into the stadium on Sunday under banners proclaiming "Celebrating a new Zimbabwe" and "Unity takes us forward, peace keeps us going." "We were stressed with what was happening with the court procedures but we are happy now because everything has been finalised and we want people to unite and work together," said supporter Malvern Makoni of the opposition's legal appeals over the vote. "Our country is now going to develop with president Mnangagwa now in charge. Mnangagwa is the right man to lead Zimbabwe to prosperity," said 41-year-old Blessing Muvirimi. "We want Zimbabweans to work together." Mugabe did not attend the swearing-in but was represented by his daughter Bonu, who had previously called Mnangagwa a "traitor" after her father's ousting. Mnangagwa of the ruling ZANU-PF party won the election with 50.8 percent of the vote -- just enough to meet the 50 percent threshold to avoid a run-off against his main opposition challenger Nelson Chamisa, who scored 44.3 percent. Similarly, US monitors said Sunday that Zimbabwe had "not yet demonstrated that it has established a tolerant, democratic culture". The country's top court on Friday dismissed Chamisa's bid to have the results annulled on grounds they were rigged. But the opposition leader has rejected that ruling and vowed to lead "peaceful protests". "I have a legitimate claim that I am supposed to lead the people of Zimbabwe," Chamisa, who heads the Movement for Democratic Change (MDC) party, said Saturday. "The court's decision is not the people's decision. The people who voted do not believe in (Mnangagwa). We have got a clear majority." Mnangagwa has sought to turn the page on the issue, calling for "peace and unity" in a televised address after the court decision. "Let us put whatever differences we might have behind us. It is time to build our nation and move forward together."